I've said it before but I'll say it as many times as I can: I love Toronto. It's an amazing city (despite the recent surge in violence that seems to be happening) with so many different neighbourhoods. Numerous times I've found myself semi-lost, wandering around areas I've never explored before. Always I'm reminded how big this city is and how much it feels like home, no matter where I am in it. My mom and I used to take a trip down to the Beaches every summer, usually at the end of August. It's been about 2 years since we last went, so yesterday we put on our walking shoes and made our way East on Queen Street for some shopping, lunching, and catching up. The weather was beautiful - hot and sunny without the heaviness of humidity. While my mom didn't have to much luck in the shopping department, I went home with 2 new dresses and 2 pairs of yoga pants (for $20 each at Titika!). 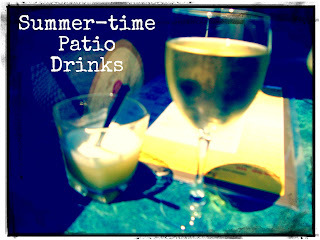 We also sat down and shared a chicken souvlaki dinner as well as some white wine and margaritas. Nothing says summer like enjoying the sunshine with drinks on a patio. While we didn't eat here, this place holds a special place in my heart. 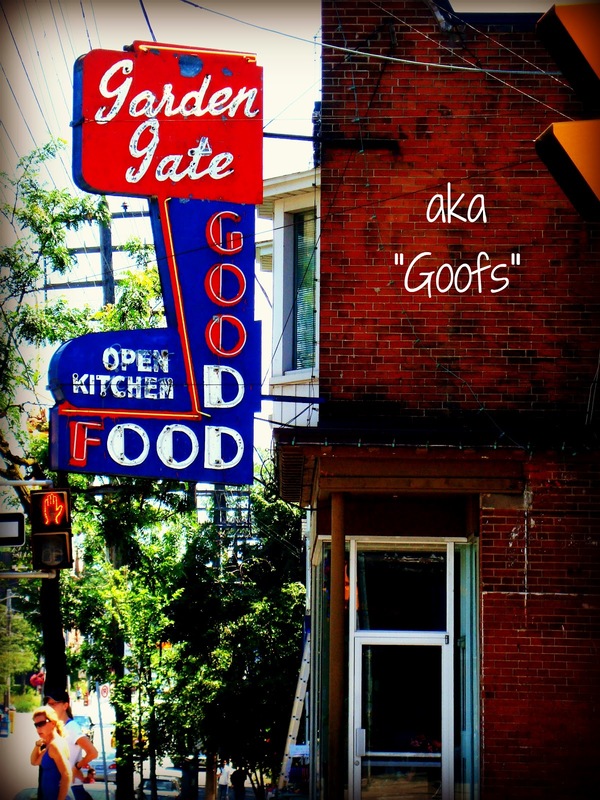 As a kid, anytime my family and I would go to the Beaches we always stopped into Garden Gate for some chinese food. I have never once in my life called this place Garden Gate. It is lovingly referred to (by anyone who knows of it) as The Goof. Or, 'Goof's' as we called it. Even it's website knows how people have come to know this place. Thanks, mom, for a lovely afternoon. And thanks, family, for making me smile everytime I see the sign for Goof's.